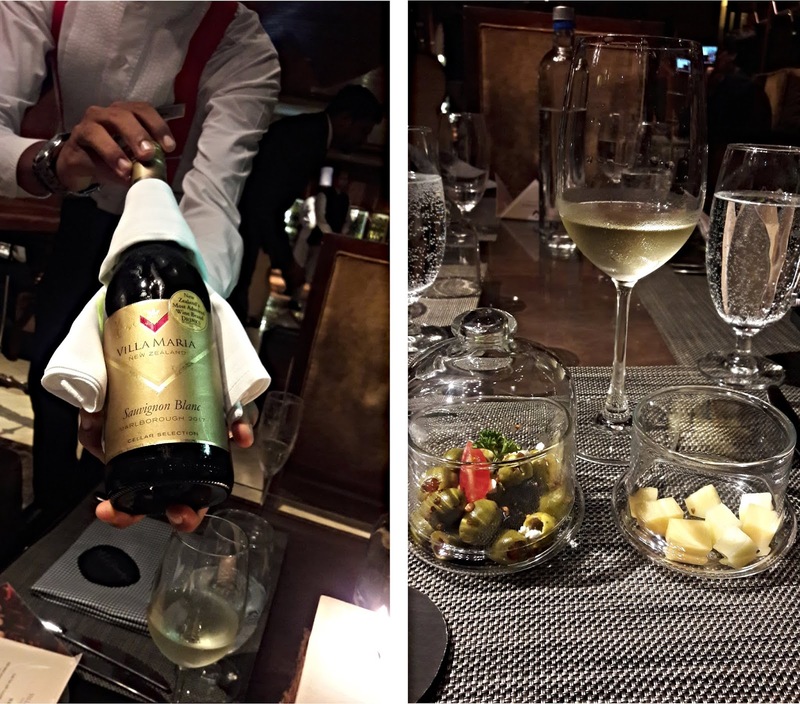 The Vintage Bank at the Hilton Chennai is well known among regulars as one of the best places for wine and cheese in the city. It was also the setting for the Villa Maria Wine Estate dinner last week to which yours truly had received an invite. New world wines have been making inroads into the wine cellars of many establishments and home bars. The climate and soil conditions of these regions produce wines that are aromatic and fruity. Villa Maria Estates, the 4th best wine brand in the world, is a winery in New Zealand that has won the most number of awards; the winery's Brand Ambassador and Export Market's Manager, Michele Lam was on hand to talk us through an evening of exquisite wines paired with some excellent food created by Chef Roberts and his team. The pale yellow Villa Maria Cellar Selection Sauvignon Blanc 2017 set off the event. Light and zesty, the aroma of passion fruit was rather pervasive but the wine tasted crisp and fresh. 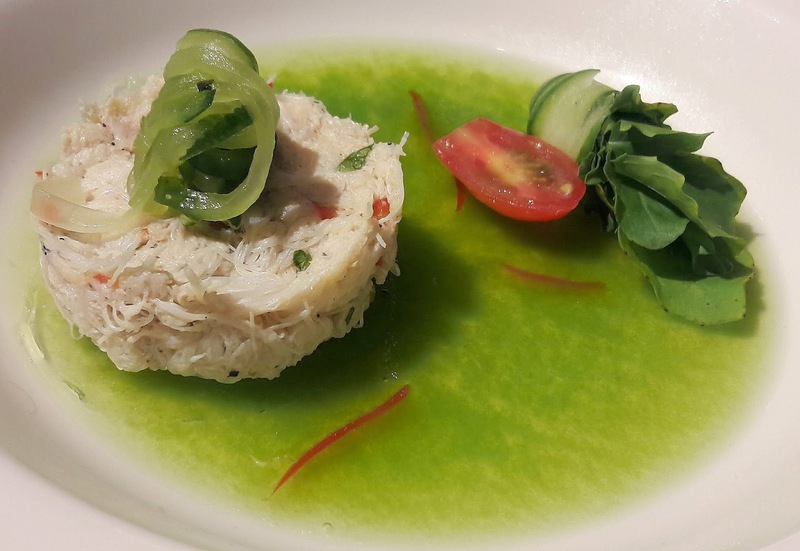 Crab tian with cucumber was a pretty sight to behold. The meat was fresh and the cucumber jelly was refreshing. Sprigs of baby arugula provided peppery contrast notes. It looked and tasted like summer on a plate. 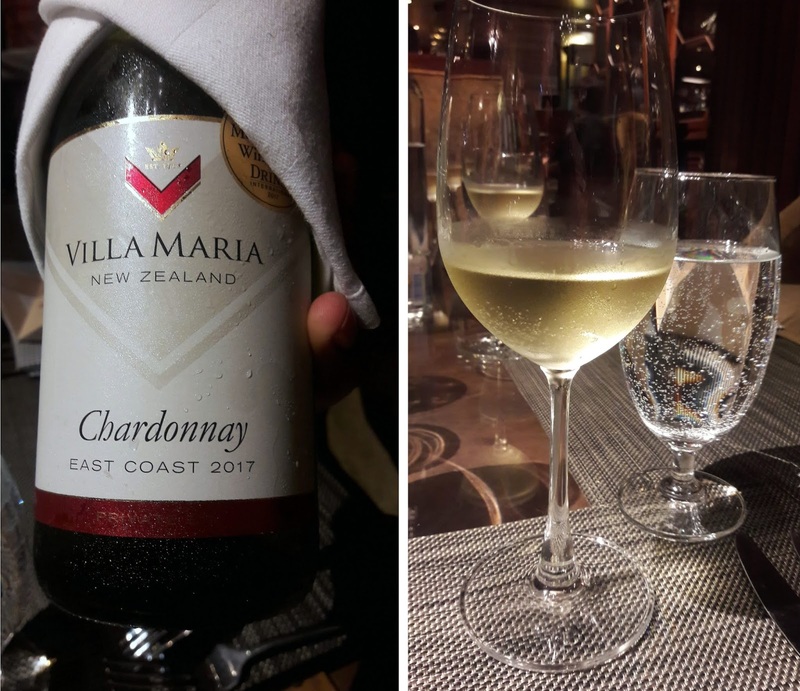 The grapes that go into Villa Maria's Private Bin Chardonnay 2017 are grown in Hawkes Bay, on the east coast of North Island. The bay is a great spot for surfing and the warm weather is perfect for the grapes to ripen; they are matured in oak barrels which gives the wine an oak-y undertone. 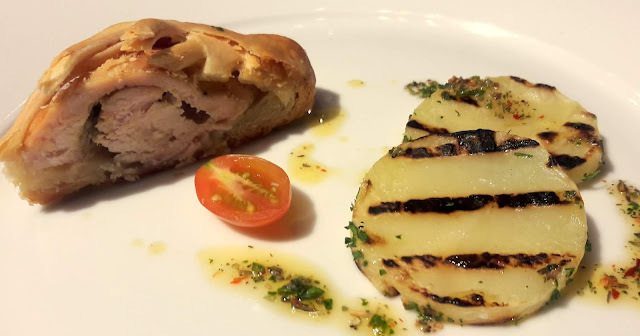 The fruity, medium body wine was served with baked chicken breast encased in pastry along with grilled potatoes and truffle emulsion. A pretty presentation but the chicken was a little dry. My friend's vegetarian dish of veggies and dates tabbouleh with za'atar chips and splotches of pomegranate sauce was art on a plate. Cellar Selection Pinot Noir 2017 had been decanted earlier and our glasses were soon filled with the beautiful red that is the second most famous in NZ! It had the aroma of plums and cherries and was the perfect pairing with the moist, darker meat of the confit duck in the lasagna. 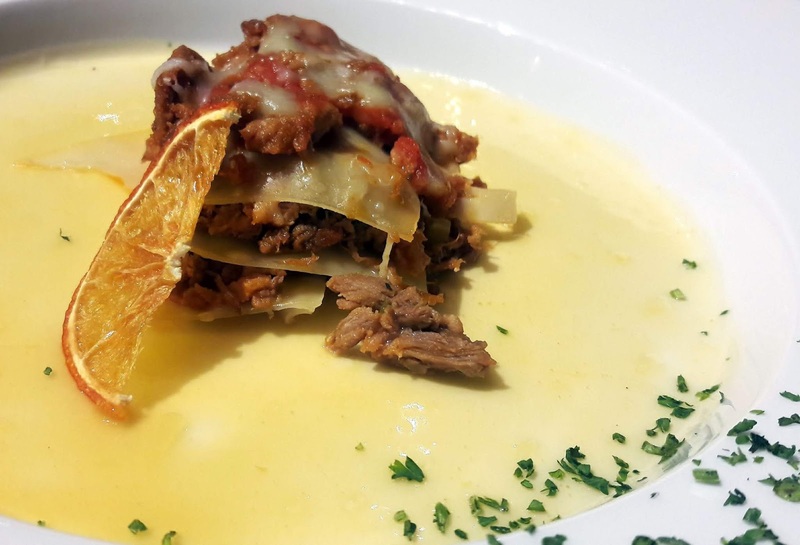 Neatly constructed, the lasagna was served with a sublime orange sauce, the dehydrated orange slice reinforcing the fresh citrus taste. Save the best for last, they say, and they did - the pairing of a New Zealand wine with New Zealand lamb. Hawkes Bay is the home of NZ's Bordeaux wines. 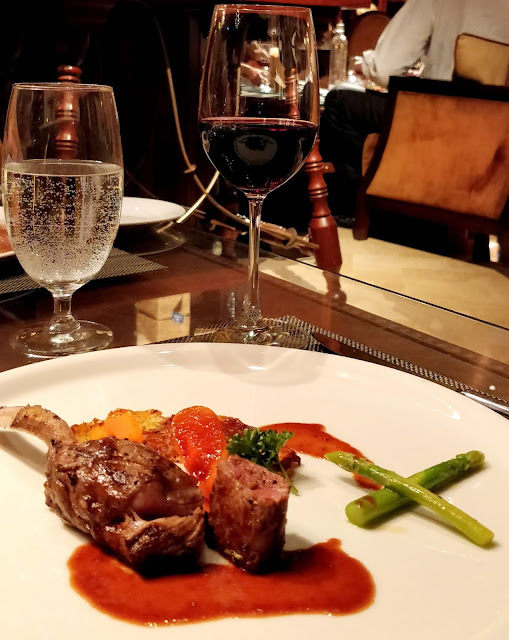 The Private Bin Merlot & Cabernet 2015 is a beautiful ruby red blended wine that has the fragrance of dark fruits like plums and blackcurrants and spice notes. Aged 12 months in oak barrels, it is a smooth wine, the tannic undertones complemented the flavour of the lamb and the herbs. The lamb, cooked to juicy medium pink perfection was the talking point the rest of the evening. 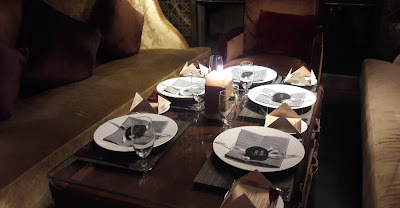 The Vintage Bank with its relaxed, informal setting is a lovely place to unwind with friends. Good wines, good food and foot-tapping music by Zaii and Troy - now that's a good way to welcome the weekend! My invite to the Villa Maria Wine Estate Dinner was from EazyDiner. Reservations done through EazyDiner will fetch you a discount. 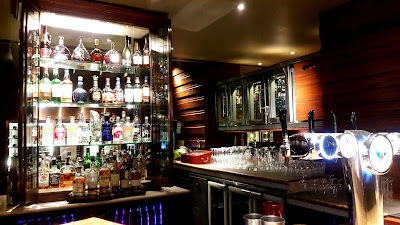 The Vintage Bank is at Hilton Chennai.